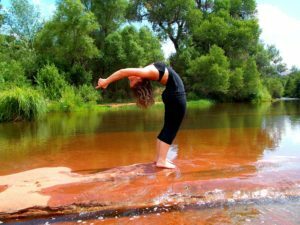 Yoga is becoming an integral part of eating disorder treatment whether you are struggling with anorexia nervosa, bulimia nervosa or binge eating disorder and regardless if you are in a residential, partial or outpatient level of care. Yoga may take different forms in various settings, or you may find an outside class on your own at a local studio. It can be a powerful adjunct to eating disorder treatment if undertaken with true intention. Yoga is a mindful practice. In eating disorder treatment, it is not used for a “workout,” but more so a “work-in.” It is a way to access what you may not be able to speak but convey with your body. Often, conversation is a barrier to intimacy, as it is easy to talk your way out of feeling. Yoga is confrontive – it forces you to be in your truth. You can’t hide behind your Yoga…your Yoga mat reveals all. You may have the benefit of the guidance from a Certified Yoga Therapist (C-IAYT) credentialed by the International Association of Yoga Therapists (IAYT). If so, then you are in the hands of a competent practitioner who has been trained in the foundational understanding of yoga theory. Also its practice, biomedical and psychological foundations, teaching and therapeutic skills, Yoga therapy tools and their application, along with professional practice that includes legal, regulatory, ethical issues pertaining specifically to therapy. In the Yoga process, your therapist will start by developing a recovery plan together with you. This starts with a thorough assessment that includes current healthcare information, information surrounding the eating disorder including pathologies, co-occurring disorders, drugs, surgical procedures, along with an evaluation of the physical, energetic, mental, emotional, and spiritual dimensions of your well-being. With this assessment, the therapist can create a targeted practice and session strategy for your makeup, while helping you in integrating this “prescription” into a group session. The therapist, working together with your psychotherapist, dietitian, and physician, can integrate your Yoga prescription into your comprehensive treatment plan. Through the effects on the cerebral cortex of the brain, Yoga can help delay impulses, improve focus and awareness, while diminishing irrational thoughts and behaviors. You may find yourself in postures that are difficult or awkward. Learning to stay in these poses and work through these postures can help you, for example, when you feel the urge to binge or practice unhealthy food behaviors, delay acting on this urge. Feeling your emotions can be very scary. With the support of your psychotherapist in processing your experience, your therapist can encourage you to observe rather than react to your discomfort by breathing and listening carefully to what your body and mind are trying to tell you. In Yoga, you are taught to find your physical “edge” – meaning working at a pace of intensity that is not too extreme where breathing is compromised. Your edge may be simply sitting on your mat and breathing, especially if you are nutritionally compromised. It is important that your practitioner works with your dietitian in order to determine the appropriate intensity to work at on a given day, given your food and energy prescription/intake. Working with your Yoga edge can help you challenge yourself in taking balanced risks. This is an important concept in life as you begin to “take your Yoga off the mat” and find your edge in everyday life. This can also translate into handling someone who confronts you abrasively, without judging or reacting. Yoga can help you enjoy your body and begin to define your body in terms of “what it can do” versus “what it is.” By learning that you are not a mere extension of your body, but possess beautiful internal qualities, it can assist in improving body image and self-esteem. It is not about competition. As you learn to let go of competition with yourself and others, it can teach you self-acceptance in this way. The physical discomfort of overeating or under eating becomes more obvious as greater awareness learned in the regular practice of Yoga makes all sensations more apparent. This can make it easier to choose to stop eating before the point of physical discomfort as well as honor hunger and nourish your body. Yoga also emphasizes mindfulness. Through mindfulness, you will learn to experience the wonderful tastes, textures, and other sensual qualities of food. Through mindfulness, you may also learn to make your thoughtful vs impulsive choices not only in relation to eating behaviors but in daily life decisions. Mindful awareness, which emphasizes “observing” vs. “reacting” to daily stresses in life also comes into play when you are anxious about food. It can also affect important neurotransmitters involved in relaxation, decreasing stress and calming your gastrointestinal tract. Staying present is another important concept learned – when your mind starts to wander, you are taught to draw your attention back to your breath. As you learn to enjoy some of the postures, you learn how to engage into life vs. be defined by your eating disorder. It is important that you feel comfortable in the presence of your Yoga therapist or teacher and that their word choices are congruent with someone in recovery. Inform your practitioner as to whether or not you prefer physical adjustments. If opting for a Yoga studio, avoid hot and power classes if you are in the early stages of recovery, as your body composition, food behaviors, vital organs and blood chemistry are more likely to be compromised. As you work towards gleaning the most out of your Yoga as possible, you will be able to take your Yoga off of your mat, and into your life! 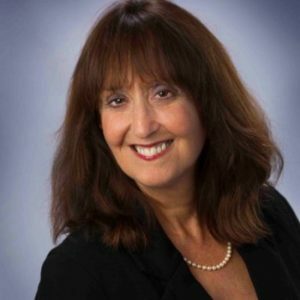 About the Author: Beverly S. Price is a certified eating disorder registered dietitian and iaedp supervisor, experienced registered yoga teacher and IAYT certified yoga therapist. Eastman-Mueller, H., Wilson, T., Jung, AK., Kimura A., and Tarrant, J. iRest yoga nidra in the college campus: changes in stress, depression, worry and mindfulness. Int J Yoga Therap. 2013, (23): 15-24. Pacanowski, Carly R., Diers, Lisa, Crosby, Ross D., Neumark-Sztainer, Dianne. Yoga in the Treatment of eating disorders within a residential program: A randomized controlled trial. Eating Disorders. 2017, 37-51. Streeter, CC., Gerbarg, PL., Saper, RB., Ciraulo, DA., Brown, RP. Effects of yoga on the autonomic nervous system, gamma-aminobutyric-acid, and allostasis in epilepsy, depression, and post-traumatic stress disorder. Medical Hypothesis. 2012, 78(5): 571-579. Reviewed By: Jacquelyn Ekern, MS, LPC on August 21, 2017.